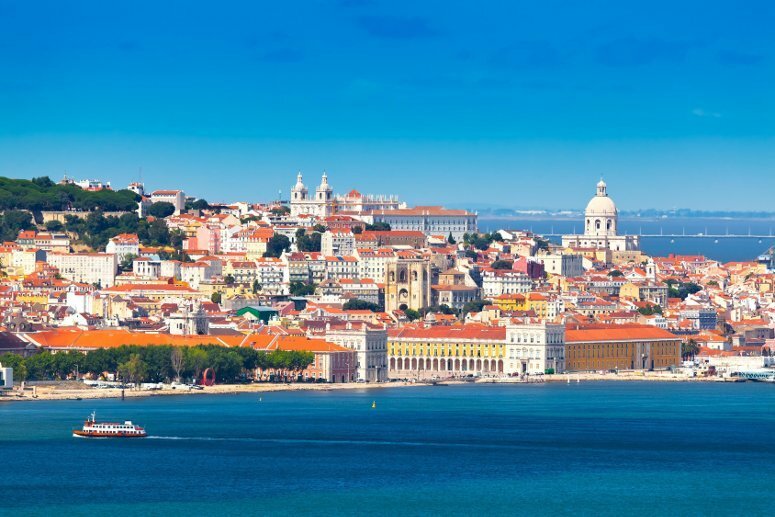 What should you do on your 3 ideal days in Lisbon? 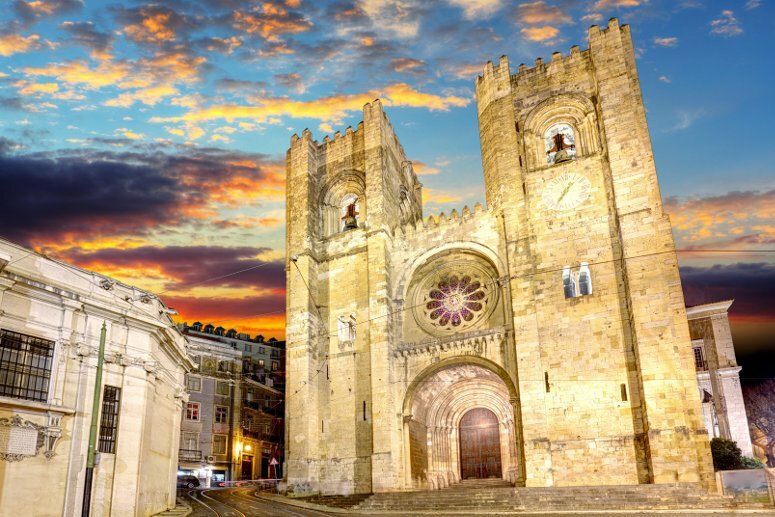 Portugal's capital has so much to offer, from museums to food to an amazingly vibrant party scene, that you’ll be absolutely satisfied no matter what your traveling style may be. Artsy, romantic, laid-back, lively, friendly: It’s no wonder that Lisbon is one of hottest travel destinations. With a little help from locals, we have put together a Lisbon 3-day itinerary, packed with all the unmissable attractions as well as little-known gems off the beaten track. One of the great aspects of Lisbon is that, for a European capital, it is surprisingly inexpensive! Good local and ethnic food is easy to find, and accommodation is very affordable even in the city center. Your 3 days in Lisbon start right here! Start off your adventure by exploring the magnificent Castelo de São Jorge, the historical landmark that towers over the entire city. 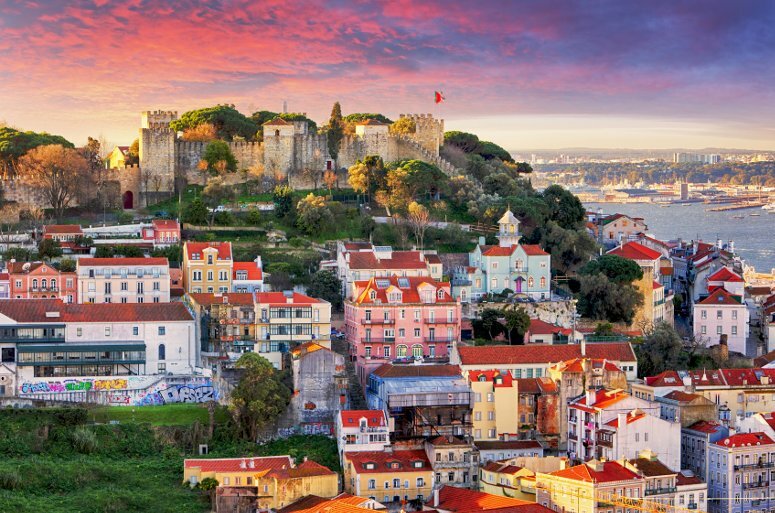 Discover the rich historical background of Lisbon, from the Roman Empire to the Moors, from the Crusades to the age of seafaring explorers: take a moment to enjoy the castle garden and many incredible views from the ramparts. A short walk down takes you into the heart of the Bairro de Alfama, one of the most picturesque neighborhoods with its medieval labyrinth of narrow alleyways, hidden gardens and traditional shops and eateries. A favorite local haunt is the Restaurante O Eurico, a true immersion in the carefree and laid-back soul of the city: traditional, home-made style food in an enchanting, authentic setting. After lunch, take a walk over to the Bairro Alto district and its popular panoramic lookout point, the Miradouro de Sao Pedro de Alcantara. Reaching the top of the hill is an adventure in itself, with a historical funicular elevator completed in 1885 that takes you to peaceful landscaped gardens. The whole neighborhood is well-known for its bustling artsy feel and lively nightlife, a real hotspot for partygoing types! A visit to the stunning Museu São Roque and adjacent Sacred Art Museum will leave you speechless with its Baroque architecture and lavish decorations from the 16th and 17th centuries. Take a break from the sightseeing with a stop at A Vida Portuguesa, a unique and carefully curated shop that aims to keep alive exquisitely Portuguese products and brands from time past, from tableware to clothes, books to food — the perfect spot for a unique souvenir of Lisbon! The Portuguese have a very strong and unapologetic sweet tooth, so an afternoon snack at one of the many pastry shops is a must! Locals recommend the Confeitaria Nacional for its long tradition and variety of pastries, in a refined 19th century setting that feels like taking a step into the past. Take a dip into the city’s rich heritage in the Lisbon Story Center, a highly interactive museum highlighting important events in Portuguese history with scale models, artifacts and multimedia. Close by you will also find the Arco Triunfal that was built to celebrate reconstruction of the city after the terrible 1755 earthquake. End your day relaxing with a glass of wine and dinner at Vestigius, a unique space reminiscent of the sailing and merchant heritage of the port district of Cais do Sodré. Elegant maritime decor, breathtaking waterfront view and a busy music and show schedule make this wine and gin bar definitely worth a visit. 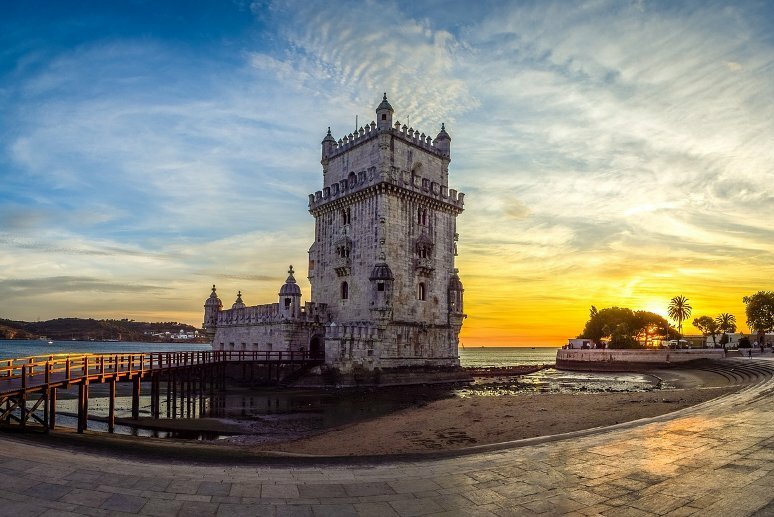 Your second day will be dedicated to the lively neighborhood of Belém, immersed in the seafaring history of Lisbon and the Portuguese empire. Start off with a hearty breakfast of world-famous “Pastéis de Belém”, egg custard tarts that tie together all former colonies, from Brazil to Macau, Angola to Mozambique. The Fàbrica is often crowded with both tourists and locals in search of a tasty snack, at all times of day… and night! The main attractions in the neighborhood are the enormous Jerònimos Monastery and Belém tower. Both are spectacular examples of 16th century Manueline architecture, the former as headquarters for the religious and military Order of Saint Jerome, the latter to strengthen the city’s fortified defense system. The next stop is the Centro Cultural de Belém complex, a multifunctional facility dedicated to the arts: take a look at the Berardo Collection of modern art, explore the vast contemporary photography and design exhibition area, enjoy a music, ballet or drama performance. Truly an experience for every taste! Nearby you will find family-owned Restaurante Nau do Restelo, offering traditional Goan dishes for a taste of one of the most exotic Portuguese fusion cuisines. West Indian state Goa is a former colony of Portugal, and its food reflects this rich heritage, enhancing fish dishes with exciting spices. Don’t miss the delicious Chamuças, also known as Samosas, and make sure to take home some spice packets to make the dishes yourself! 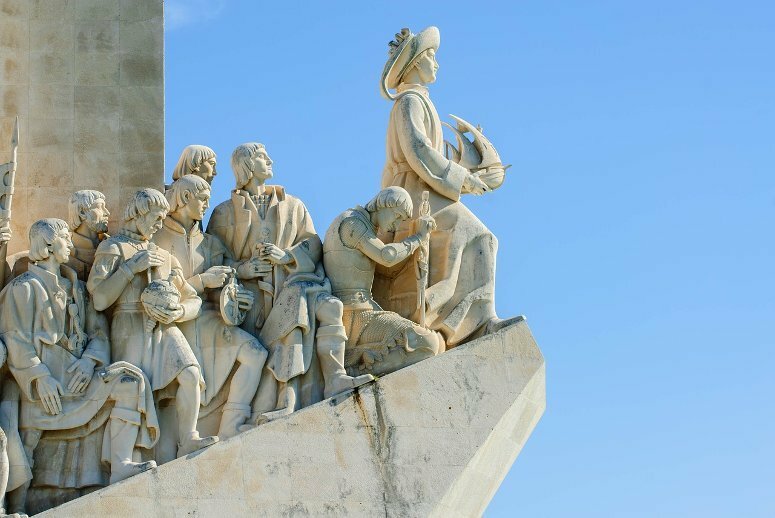 Walking along the waterfront on the Tagus river you can’t help but be amazed at the spectacular tribute to world explorers that is the Padrão dos Descobrimentos monument. Shaped like the prow of a mighty ship, this grand carved stone structure also hosts an observation deck and exhibition hall dedicated to 15th and 16th century Age of Discovery navigators. Exploration and oceanography go hand in hand of course, so your next stop is one of Lisbon’s oldest science institutes, the Vasco da Gama Aquarium. Home to both a museum and live exhibit, here you can admire coldwater and tropical fish, be amazed by the seals, otters and sea turtles, and even feed a multitude of brightly colored Koi carp in the garden pond. Dinner choices in the lively Belém neighborhood are varied and plentiful, but for a tasty option slightly off the beaten track, locals recommend O Navegador for its extensive wine list and fresh tapas — or rather, “petiscos” in Portuguese! Living 3 days in Lisbon like a local means shopping and eating like a local: stop by Manteigaria Silva, an old-style deli with over 100 years of tradition. Go ahead and taste fine wines, local cheeses, cured meats and classic salt cod — or as the Portuguese call it, Bacalhau. 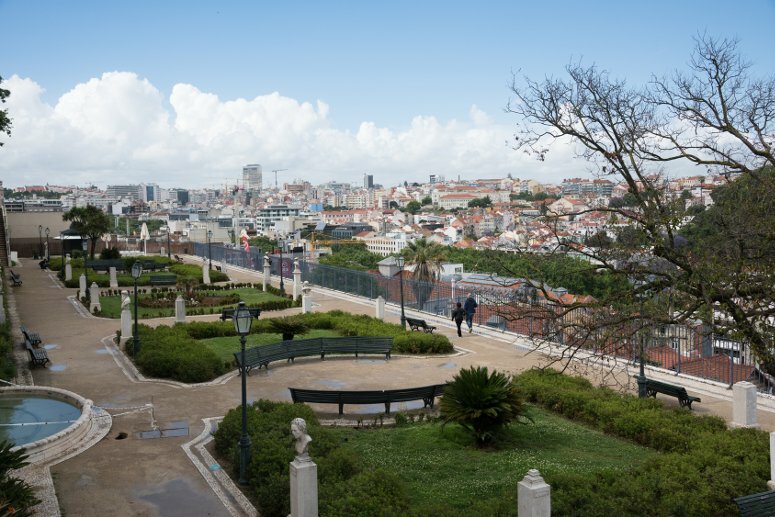 A leisurely stroll will take you to the highest point in the city, the lookout terrace Miradouro da Senhora do Monte. The views are magnificent, the crowds are sparse and you can really breathe the laid back atmosphere of Portugal. One of the most charming aspects of Lisbon is its many buildings covered in hand-painted tiles; sadly, in recent years many are broken, stolen and sold to tourists at flea markets as souvenirs. The great news is you can take home an authentic, genuine Portuguese tile directly from traditional factories at Cortiço & Netos in the Alfama district — take a look at their immense collection of discontinued designs from the last 50 years, and choose your favorite as a sustainable souvenir! 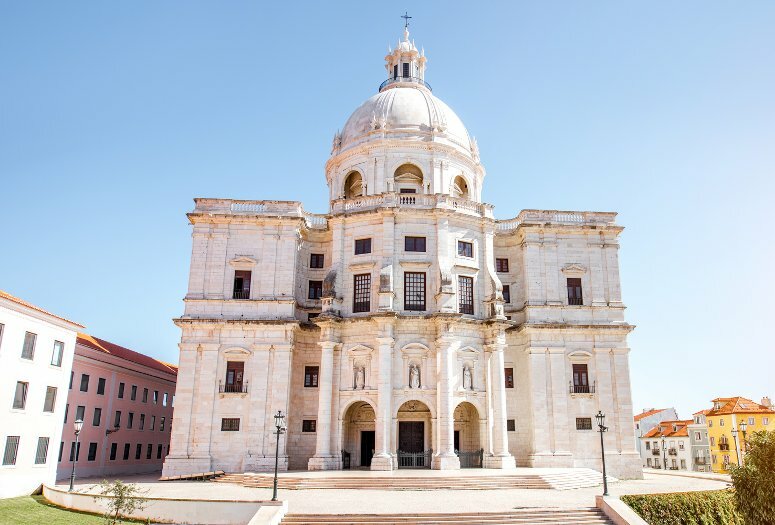 Close by you will find 2 architectural jewels, the Church of São Vicente de Fora and the Panteão Nacional; both are burial places for royals, dignitaries and cultural figures through the centuries, and both feature incredible decorations that will leave you speechless. No visit to Lisbon would be complete without tasting a classic “Bifana” pork sandwich, a beloved staple and quintessential street food. Many locals pick As Bifanas do Afonso for the very best spot… others simply recommend ducking into the greasiest hole-in-the-wall type shop for the most authentic and flavorful experience! Walking back down towards the riverside, stop by the Fado Museum dedicated to the traditional Portuguese style of singing, and take a look inside Lisbon Cathedral. This is the city’s oldest church, and like most older buildings, features fascinating layers of many architectural styles, from the 12th to the 18th century. End your perfect 3 day Lisbon itinerary with a stop at a trendy yet relaxed rooftop bar with great food, amazing cocktails and extraordinary views. A recent addition to the neighborhood, Topo features a multicultural menu, and has become a new favorite spot in the local scene. 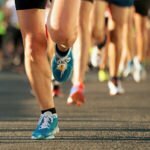 If you are visiting Lisbon for the first time, you may be wondering what the best area to stay in is. No doubt, if you want to be within a walking distance to almost all main attractions, right in the heart of the city, quarters like Alfama, Bairro Alto, Chiado, Baixa and Avenida da Liberdade are the best choices. – My Story Hotel Ouro, in the historic district of Baixa, at Rua Aurea 100, only 4 minutes walking from the elevator of Santa Justa, which connects the lower streets of Baixa to Bairro Alto. – Hotel Borges Chiado, one of the oldest hotels in Lisbon, superbly located in the Chiado area, at Rua Garret 108, just a few meters from Bairro Alto. – Lisbon Real Palácio Hotel, an excellent 5-star property located at the top of Avenida da Liberdade, only 500 meters from Praça do Marquês de Pombal. – Lisboa Plaza, an elegant family-run boutique hotel next to Avenida da Liberdade, only 2 minutes walking from the Avenida Metro Station. – Radisson Blu Hotel Lisbon, in the Capo Grande neighborhood, around 20 minutes driving from the city center, much appreciated by business travelers. Accommodation in Lisbon is easy to find and, from economic hostels to luxury hotels, there is a large choice of places to stay you can choose from. So soak up the laid-back vibe, enjoy the company of the welcoming locals, and get a taste that will leave you wanting more!